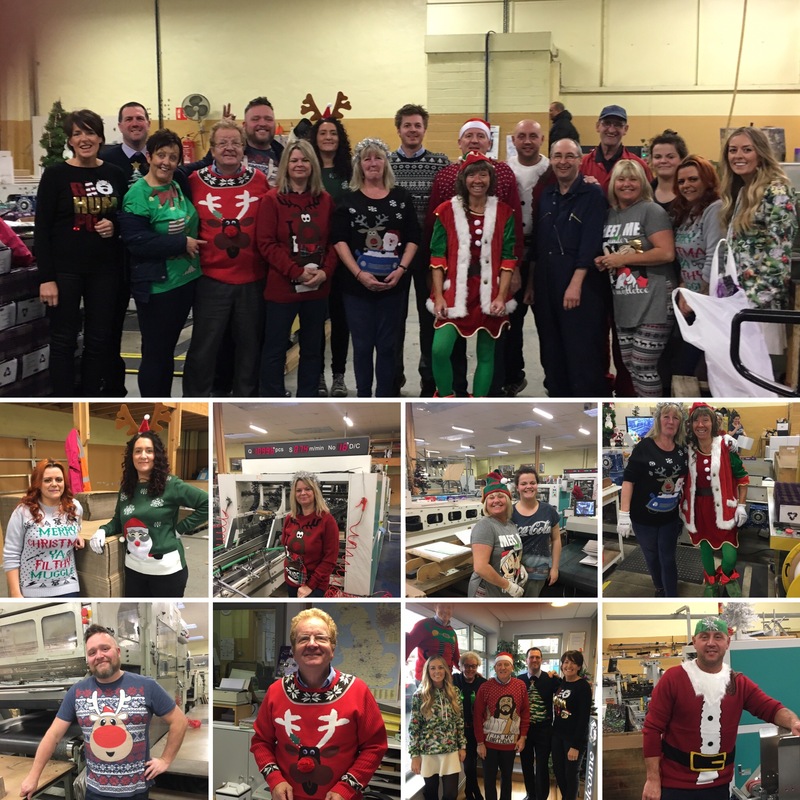 Last Friday, 16th December, many of us here at East Lancs Box embraced the Christmas Spirit and participated in wear your Christmas Jumper to work day. A great effort was made by many. The best dressed prize could only have gone to one person though. 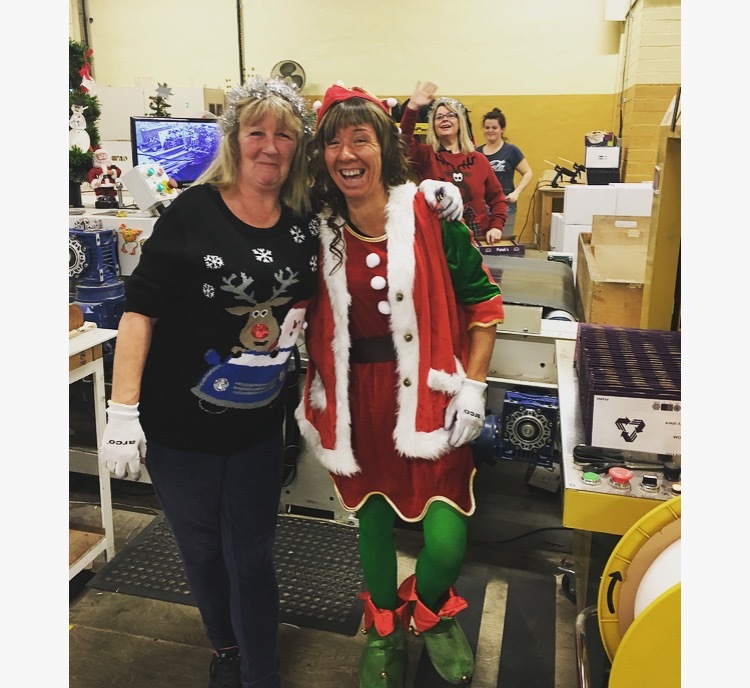 Our very own ELB Christmas Elf, aka Louise who showed up for work in the full elf get up…shoes and all!! The bar has now been set very high for next year…we can’t wait to see what people come up with, with a whole year ahead to prepare we are expecting great thing…personally I hope for a group collaboration resulting in Santa and his reindeers!! NEW YEAR…… NEW ME……. NEW CALENDAR!!! 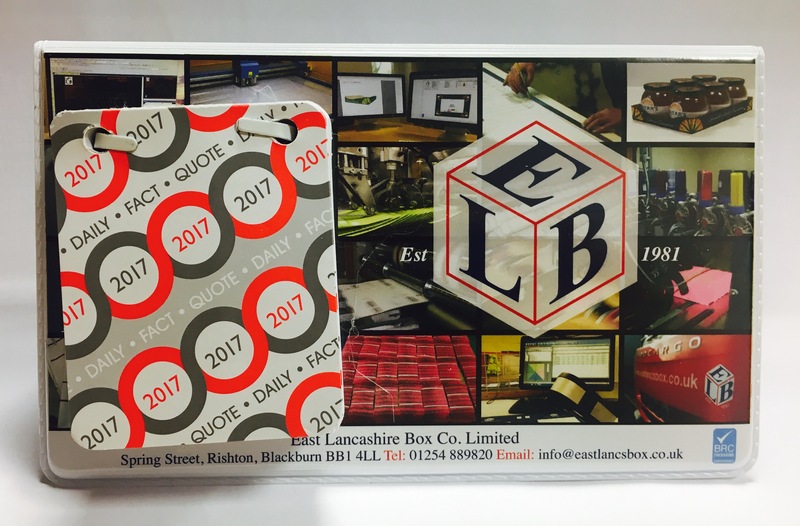 All our customers and contacts are used to their East Lancashire Box calendar dropping through the mail, or being hand delivered if you are one of the lucky ones, around this time of year. However, this year we have embraced the new year’s moto “New Year, New Me” and changed our look…. We have given the calendar a new more informative facelift. The Blue and Gold, which has been the theme of the calendars since they made their debut almost a quarter of a century ago, has been thrown out. From January 1st 2017 they are going to show more about what we actually do. Therefore, the new look displays images of day to day elements of working life at East Lancashire Box. Don’t panic, the much loved daily facts and quotes are still there to be enjoyed each day!!! Please comment and let us know what you think about our new look. 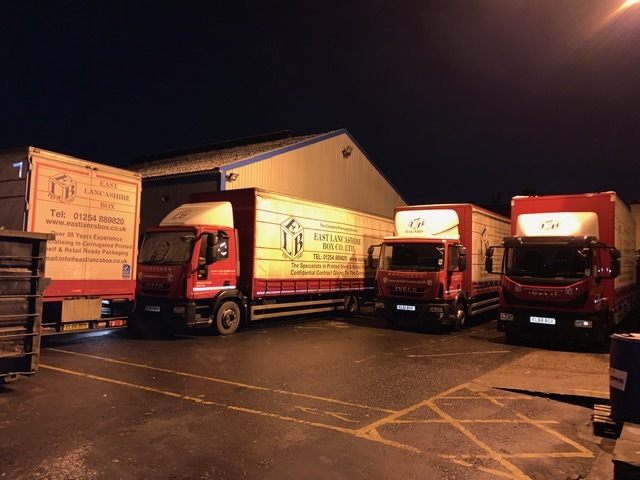 East Lancashire Box offer a high quality professional service working together with our customers from the starting idea and design all the way to the completion of production and delivery. Watch this process in action when we produced Designed2Eat’s first Shelf Ready Packaging. We continually check the print position against a cutting-forme tracing to ensure the print alignment is perfect on the finished packaging. High quality printed shelf ready packaging is a guarantee with East Lancashire Box. We ensure continuity of your brand image onto the packaging holding your products. On June 6th both Nick and Peter’s favourite recreational sporting activities combined creating an event which East Lancashire Box could not pass up the opportunity to participate in, the first (and hopefully not the last) ever Rossendale Rugby Club Golf Day held at Baxenden Golf Club. The fact that Rossendale Rugby Club is Nicks pride and joy and Peter, when not working, is most likely to be found on a golf course feeding his golfing addiction, meant they were both adamant a East Lancashire Box team would be entered in this event. Initially the plan had been for Peter to participate along with 3 others, however, due to unavoidable commitments elsewhere he was unable to attend. Luckily Ian Shuttleworth came to our rescue along with 3 of his friends. Ian has worked for the company for 26 years and is our second longest serving member of staff. When he is not off delivering goods to our customers around the country he always finds time to pop into Peters office for a little “Golf Chat”, therefore, he was the perfect candidate in place of Peter. Ian did us proud and brought home the win!! He and his happy men played on top form. Although it was a close competition and they were hunted down by other teams but they managed to withstand the pressure and finished the day at the top of the leader board meaning that the East Lancashire Box team are the official winners of the 2014 Rossendale Rugby Club Golf Day. We would like to say a massive congratulations and thank you to Ian and his fellow team members for doing ELB proud and bringing home the win!! They won a day out for four at a Rossendale Rugby Club match with prime position on the Rossendale Rugby Club Wagon which we hope they thoroughly enjoy. We are already looking forward to the 2015 Golf Day, the pressure will be on to maintain our top spot.